Have you ever wondered what’s behind the conflict between geeks and suits? Sure, they think differently, but what, exactly, does that mean? A Jesuit priest who passed away in 2003 at the age of 90 may hold one clue. Walter Ong published a slim volume in 1982 titled “Orality and Literacy: The Technologizing of the Word” that explored what the differences between oral and literate cultures suggest about how we think. 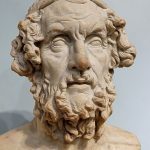 Remember Homer, the blind epic poet credited with “The Iliad” and “The Odyssey”? If we remember anything, it’s something along the lines of someone who managed to memorize and then flawlessly recite book-length poems for his supper. In an oral culture, what you can think is limited to what you can remember and tell—without visual aids. Ong’s work shows that oral thinking is linear, additive, redundant, situational, engaged, and conservative. The invention of writing and the emergence of literate cultures allows a new kind of thinking to develop: literate thinking is subordinate, analytic, objectively distanced, and abstract. It’s the underlying engine of science and the industrial revolution. While this may be interesting for a college bull session, it’s particularly relevant to organizations. For all their dependence on the industrial revolution, organizations are human institutions first. Management is fundamentally an oral culture and is most comfortable with thought organized that way. Historically, leadership in organizations went to those most facile with the spoken word. IT professionals have long struggled with getting a complex message across to management. In our honest and unguarded moments, we talk of “dumbing it down for the suits.” But the challenge is more subtle than that. We need to repackage the argument to work within the frame of oral thought. The easy part of that is about oratorical and rhetorical technique. The more important challenge is to deal with the deeper elements of oral culture; of being situational, engaged, and conservative. The right abstract answer can’t be understood until it is placed carefully within its context. That might mean finding the telling anecdote or designating an appropriate hero or champion. Suppose, for example, that your analysis concludes it’s time to move toward document management to manage the files littering a shared drive somewhere or buried as attachments to three-year old e-mails. Analytical statistics on improved productivity won’t do it. A scenario of the “day in the life” of a field sales rep would be better. Best would be a story of the sales manager who can’t find the marked up copy of the last version of the contract. Seen in this light, what is typically labeled resistance to change is better understood as the necessary time and repetition to embed ideas in an oral mind. Management understands something that those rooted in literate thinking may not. Knowing the right answer analytically has little or nothing to do with whether you can get the organization to accept that answer. What literate thinkers dismiss as “politics” is the essential work of translating and packaging an idea for acceptance and consumption in an oral culture. The critical step in translating from a literate answer to an oral plan of action is finding a story to hang the answer on. The analysis only engages the mind; moving analysis to action must engage the whole person. Revealing this truth to the analytical minded can be discomforting. It’s equivalent to explaining to an accountant that the key to a Capital Expenditure proposal is theater, not economics. You might want to check out Steve Denning’s book, “The Springboard: How Storytelling Ignites Action in Knowledge-Era Organizations,” for some good insights into how to craft effective stories inside organizations. In addition to helping the analytically inclined see the value of creating a compelling story, you need to help them see how and why story works differently than analysis. The best stories to drive change are not complex, literary, novels. They are epic poetry; tapping into archetypes and cliché, acknowledging tradition, grounded in the particular. You need to bring them to an understanding of why repetition and “staying on message” is key to shifting an oral culture’s course, not an evil invention of marketing.